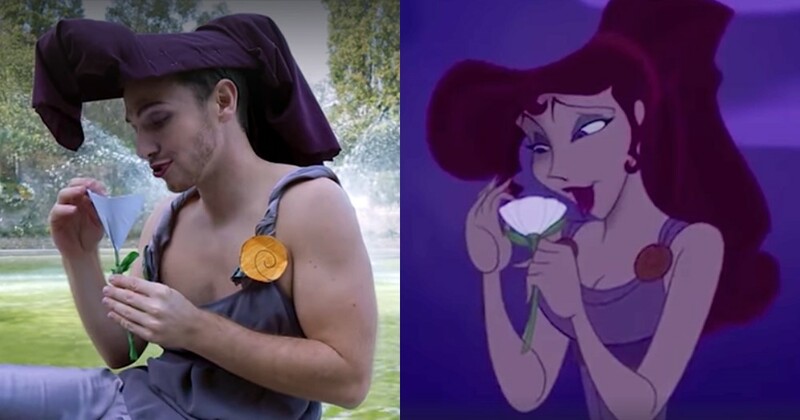 WATCH: This Group Recreated One Of Hercules Songs And We Are Living For It! The ICONIC Disney movie still relevant and this low-fi recreation is just amazing! Videos 30 November, 2018 . Written by Guilherme Souza . One of the most iconic Disney movies (and also my first crush) ‘Hercules’ made everyone who was born in the ’80s and ’90s very happy. Are you ready for some nostalgia? The story of the semi-God taken away from his parents and converted to human by a magic poison and raised by humans is a must watch, for many reasons. For the history that shows ancient Greek mythology, for the amazing characters, and also for the favourite hero of all times (have I mentioned his muscles already?) Hercules! As every Disney story, there is also a princess, but the princess in Hercules is quite different from how a “regular” princess is normally depicted. Let’s start by saying that Meg is a badass girl and do not need to be saved by anyone, she is fierce! She made a pact with the God of the underworld and the main antagonist, the ICONIC Hades, to trick Hercules into the evil God’s plan, and in return, she would have her freedom (and soul) back. What she was not expecting was to fall in love with Hercules (I do not blame her, facts are facts). The rest of the story I won’t spoil it, if you have not watched yet, please do it! You can thank me later. The movie was released in 1997, 21 years ago! But is still highly relevant today. You probably have seen many videos with funny voiceovers and different interpretations, but what this group just did can only be defined in one word: Genius. They managed to recreate every scene of Meg’s song “I Won’t Say I’m In Love” on a low budget, which is just amazing, all the elements, every detail, character and creativity are very accurate and we are living for it! 30 November, 2018 . Written by Guilherme Souza .